GAINESVILLE, Fla. — The University of Florida and the Florida State University College of Medicine today jointly received $600,000 from the Board of Governors of the State University System of Florida to strengthen research, education and service efforts in public health and to boost economic growth. The award, under the 2010 New Florida Initiative Scholar’s Clustering Grant Program, aims to foster collaborations among state institutions in the areas of health, science and engineering. It is part of a broader program to engage the state university system in the creation of high-skill, high-wage, knowledge-based employment opportunities. The funds will support the UF-FSU Community Research Collaborative Program, a research effort that combines UF’s expertise in clinical and translational science research with FSU’s strength in community-based medical education. “Working together, the universities will create new opportunities and advances not only for physicians, scientists and students, but most importantly, for the citizens of Florida, as we explore patient-oriented research into the causes, prevention, diagnosis and treatment of diseases,” said Dr. David Nelson, director of the UF Clinical and Translational Science Institute and co-principal investigator of the project. The project will establish a statewide network of facilities affiliated with the two universities that will connect local communities with teams of clinical scientists, physicians and physicians-in-training, creating new opportunities to conduct clinical and public health research. “Working with physicians in community settings will provide new and invaluable research opportunities where the majority of patients get their health care in Florida,” said Dr. John P. Fogarty, dean of the FSU College of Medicine. Initial efforts will involve the assessment and monitoring of mild traumatic brain injury and of health risk behaviors among youngsters in Florida. The project will give physicians and medical students access to state-of-the-art instruments that will allow surveillance, detection and follow-up of mild traumatic brain injury cases among youth who take part in organized sports. It will also involve collaborating with pediatricians and family practice physicians to evaluate practices already in use for assessing and monitoring health risk factors such as diet, exercise and obesity in children and adolescents, and seeing how information technology can aid the process. that can produce results in a short time. FSU also received seven collaborative grants to fund projects ranging from the development of high-performance prostheses to studying climate change. •address disease prevention and other health care issues in rural and urban environments. •establish a task force to study and model climate change. •expand broadband and enhance supercomputing capabilities across the state. •facilitate biomedical engineering research and education efforts in the state. •develop “smart sensors” for environmental monitoring. •optimize detection, prevention and treatment of vector-borne diseases. In addition, UF received “Scholars Boost” awards to help with recruiting noted researchers in health and science and in chemistry, and to construct a veterinary research facility. In all, UF received $2.5 million in New Florida 2010 awards. UF’s resources for the Community Research Collaborative Program with FSU include the long experience and expertise of researchers in the CTSI in clinical studies and biomedical informatics. That will enable researchers to formulate sound protocols for collection and analysis of vast amounts of health data relating to the entire state or to subsets of the population. The institute integrates the research and training activities of 12 colleges, two clinical campuses, two regional health care systems and connections in all 67 counties in the state. FSU has an established and well-managed network around the state for educating medical students in community and private practice settings. That system consists of six regional campuses and two rural training sites, and involves more than 1,900 participating physicians whose patients number more than 2 million. The collaboration stands to have a large economic impact on the state. Research that allows health risk identification, disease marker detection and injury avoidance will lead to savings in dollars that would otherwise be spent to treat illness. “In addition, with an established clinical research infrastructure we will be in position to attract even more research dollars to the state and help address a slate of other health issues, as well,” said Myra Hurt, senior associate dean for research and graduate programs at the FSU’s College of Medicine, who is co-principal investigator of the project. Medical students are also winners because they will participate in clinical research. That experience will help produce better trained physicians who are aware of current research and able to incorporate medical advances into their practice. 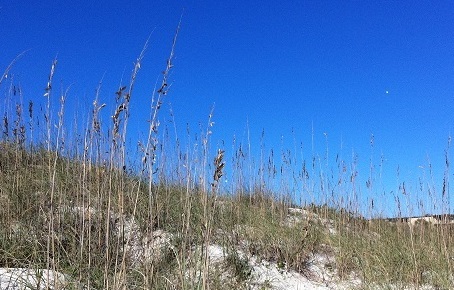 For more information on the New Florida Initiative and the funded projects, visit http://www.flblog.edu/new_florida.